At Lakeside Exteriors we pride ourselves on satisfying customers 100% of the time. That’s why we choose to use James Hardie Siding. Just like us, James Hardie is a top-rated business who homeowners can count on to provide quality workmanship and products. And we don’t just work with the company’s siding. We also participate on its advisory panel and hold the distinguished honor of being an Elite James Hardie Preferred Remodeler. 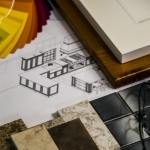 That said, we feel uniquely qualified to explain why their products are among the best we’ve seen during our 18+ years of experience working in the home improvement industry. 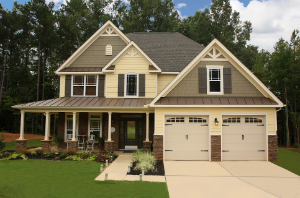 If you were to put their fiber cement siding up against traditional vinyl siding, several key features would make James Hardie products reign supreme. For starters, it is non-combustible and will not melt, warp or shrink when exposed to high temperatures but yet it looks remarkably like wood. It will also resist bad weather, termites and normal rot. And it can even be painted should you ever decide to change the look of your home’s exterior. Similar may be said when you put their products up against OSB siding. In our opinion, the only two things that conventional OSB siding has going for it is the ability to resist termites and rot. However, as we already mentioned, James Hardie siding can do that too. Plus, we think that it just looks better than OSB siding and lasts a lot longer. To continue, the company’s products offer homeowners more benefits that wood siding as well. 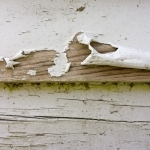 After all, wood siding is combustible and not weather resistant. It also tends to require costly, routine maintenance in order to look good. Consequently, it isn’t as long-lasting or versatile as fiber cement either. Fiber cement, on the other hand, comes in a myriad of baked-on, UV resistant colors that will last at a minimum of 15 years. Finally, over the years James Hardie Siding has won numerous awards. Being award winners in the home improvement industry ourselves, we can appreciate what the siding manufacturer does to please their customers and the public at large even more. To learn more about why we can’t stop boasting about James Hardie Siding and get a no-obligation quote, please contact our Lakeside Exteriors’ staff today.